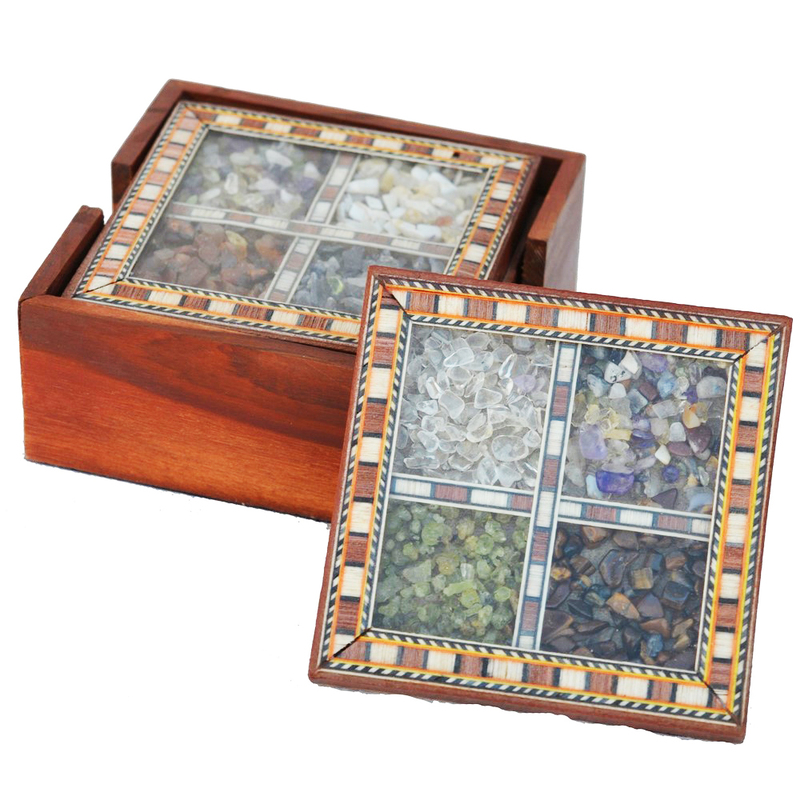 The wooden tea coasters with gemstone is an elegant and beautiful product that combines the elegance of wood and gemstones together. 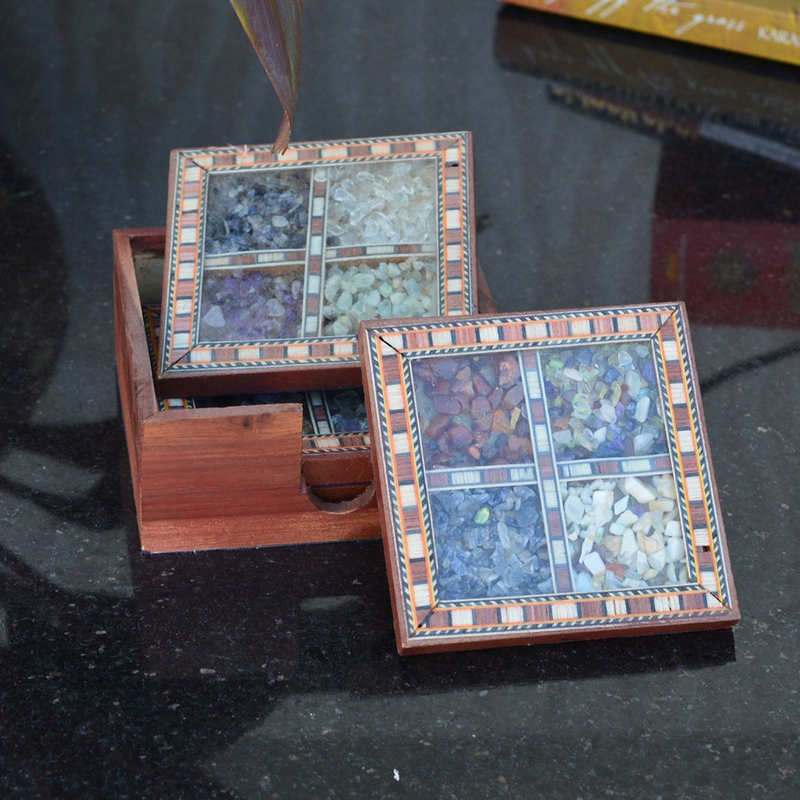 It is a beautiful Read More..home décor crafted to perfection by traditional artists of Rajasthan. 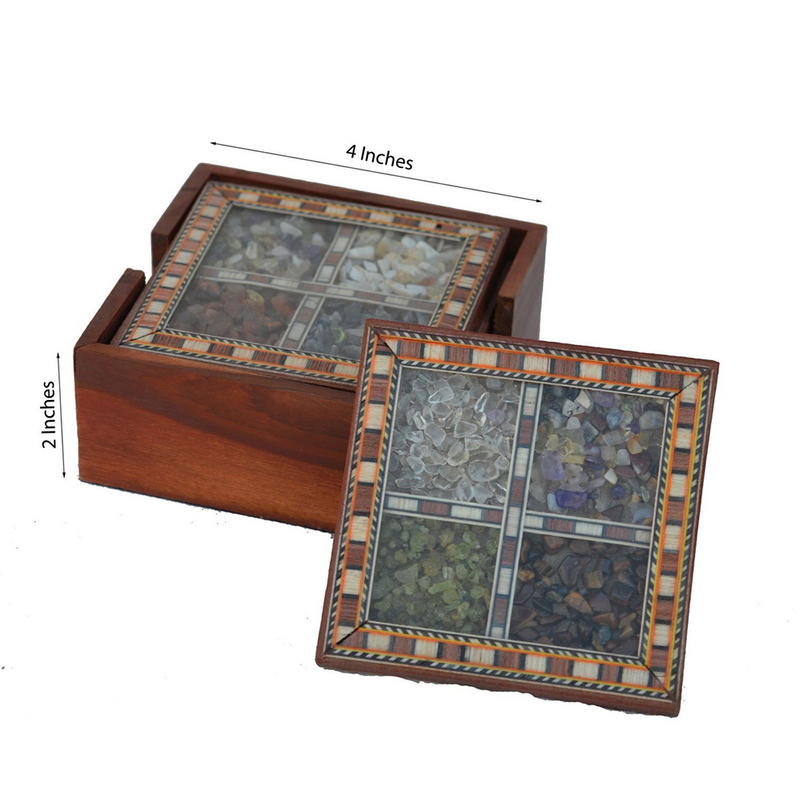 Made with wooden and embossed with gemstones, this set comes in a set of 6 coasters which are ideal for serving all kinds of tea, coffee and drinks. Show Less..